NoHoW well represented at ISBNPA 2018! 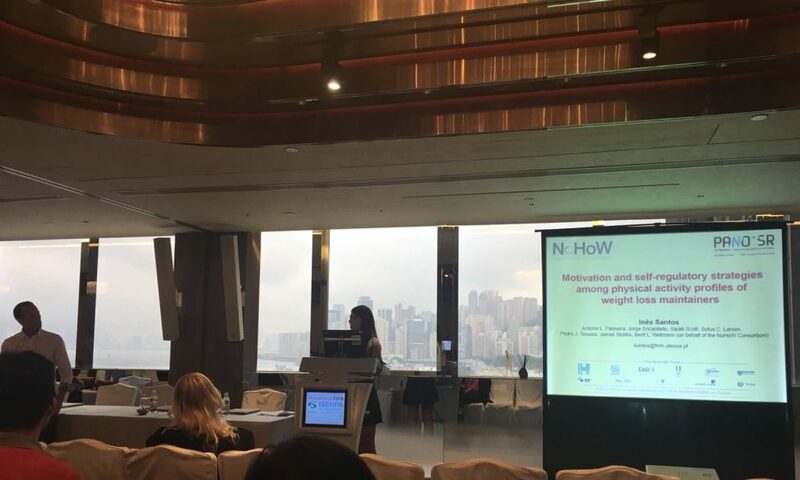 NoHoW was well represented by the Lisbon team from FMH at the recent International Society of Behavioral Nutrition and Physical Activity (ISBNPA) Annual 2018 Meeting in Hong Kong. The meeting included a stimulating scientific program, with an outstanding line-up of keynote speakers, oral and poster presentations, and pre-conference workshops. There were also excellent opportunities for participating in physical activity, and networking social events that made sure participants experienced Hong Kong in full! NoHoW’s Inês Santos gave an oral presentation, ‘Motivation and self-regulatory strategies among physical activity profiles of weight loss maintainers’ and António Palmeira gave a poster presentation, ‘Associations between activity and physical activity motivation in short-term weight loss’.